I finally finished my wonky star quilt. I had blogged about finishing the top a month or so ago and it has taken me a while to actually get it quilted. I am really pleased with how it turned out. It is a true scrap quilt using different colour bits and pieces for the stars as well as scraps of tone on tone whites for the background. I ummed and ahhed about how to quilt it. I started doing a loopy quilting pattern but did not like it so unpicked it all and started again. 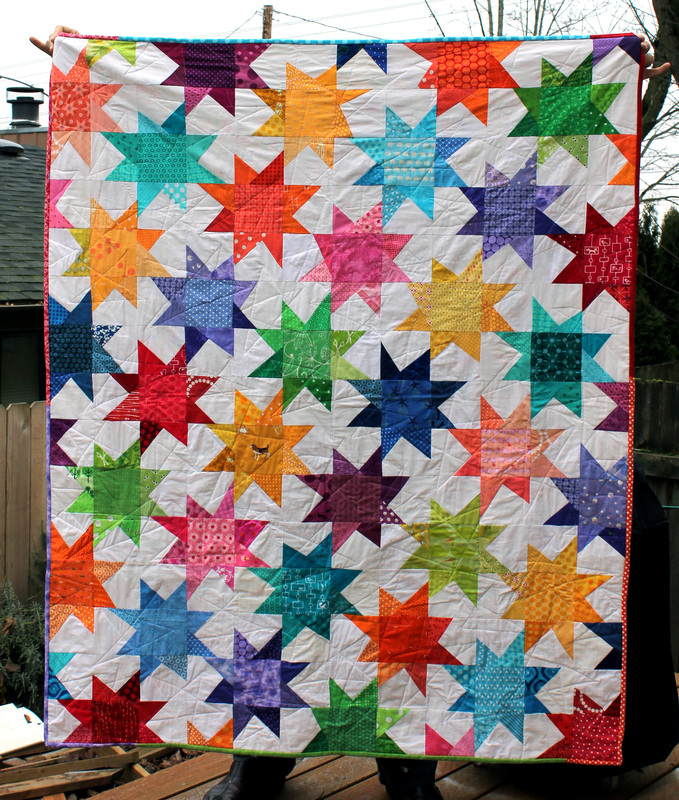 I ended up quilting stars all over – no set pattern just big and little stars all over. I really do have to work on my quilting skills. I get bored with this part of the process and I must admit I get a little sloppy. 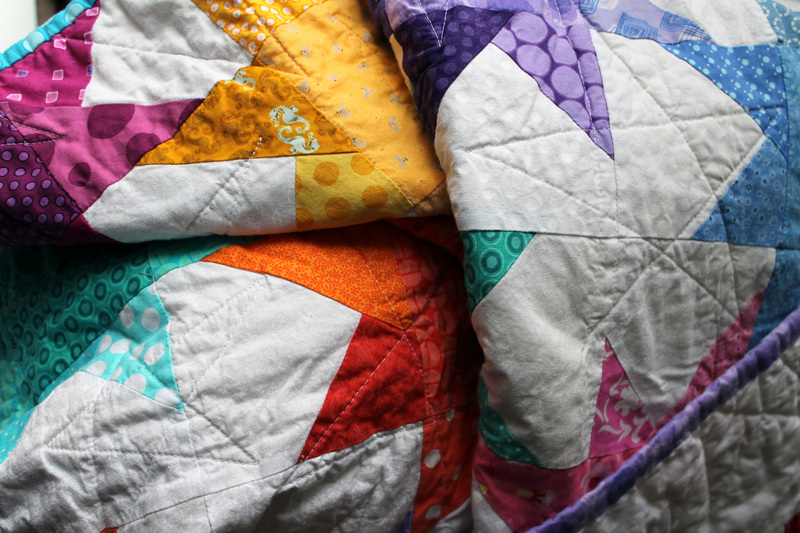 I backed the quilt with a wonderful Alexander Henry fabric that just really worked with the colours I used. I framed the fabric I had with a white border which I think works okay. I love the fabric but probably could have found another way to make it work. I have just discovered Elizabeth Hartman’s FREE Craftsy course on quilt backs which has got me thinking about other ways to back my quilts. It is a great course and you can find it here. I have now washed the quilt and it is ready for delivery to Project Linus. I post wash all my quilts before I deliver them to PL. 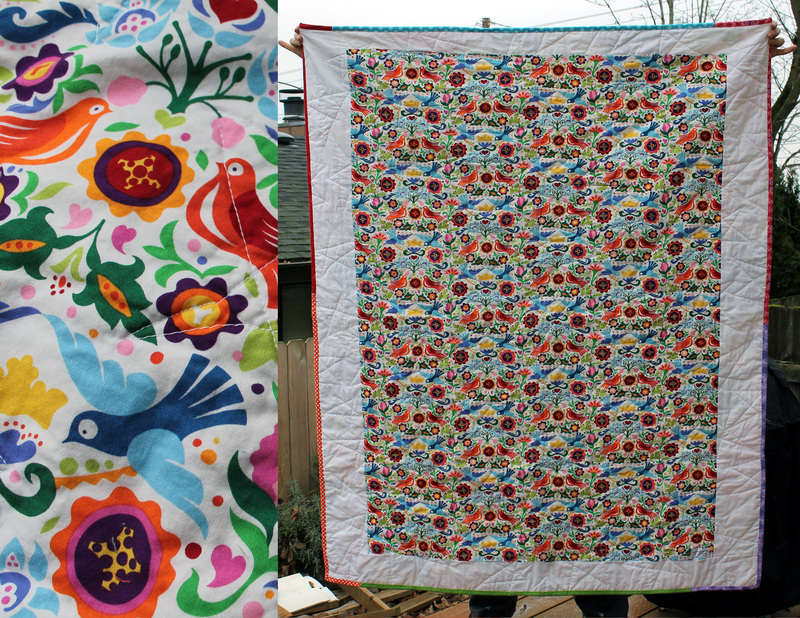 I do love the feel and look of the quilt when it has been washed, all soft and puckered. Are you a post or pre washer? Saw this on Flickr and had to pop over to your blog to read more about it. Great use of fabric/colours and the quilting design fits perfectly. Congrats. Love the colours of this quilt. The back is great too. I adore the negative space on this quilt, the white-on-whites. Great job! 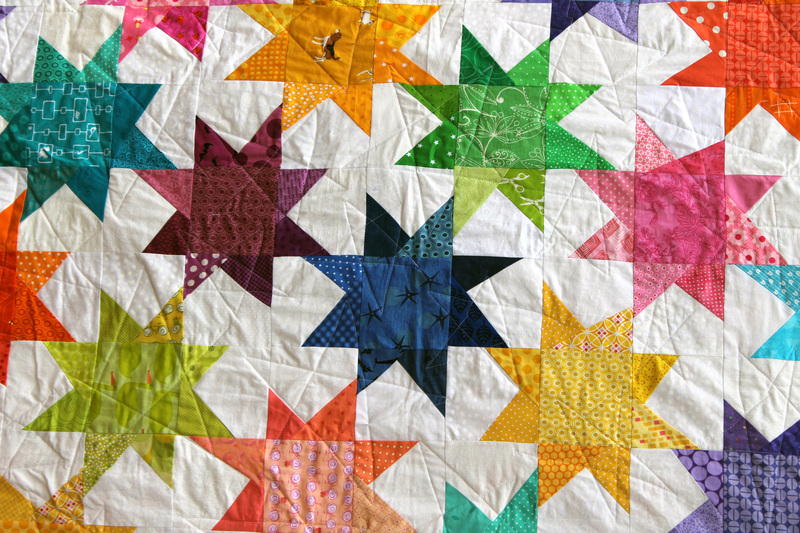 love your quilting on the wonky stars quilt great idea!! Pingback: Zvaigžņu sega | Kur gājputniem mājas?